Floral Pocket Dress Just $12.99! Down From $36! Shipped! 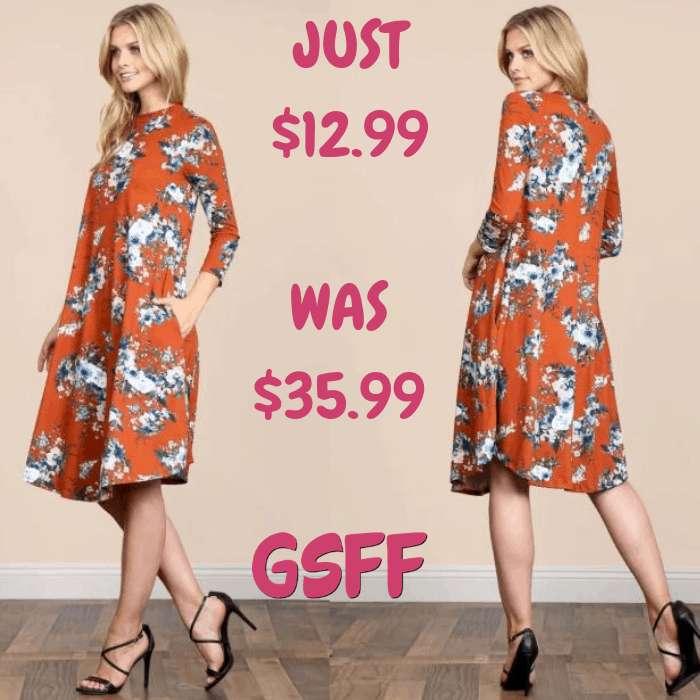 You are here: Home / Great Deals / Floral Pocket Dress Just $12.99! Down From $36! Shipped! Through February 1 only! At Jane, you can get this Floral Pocket Dress for just $12.99 down from $35.99 PLUS FREE shipping! Show off your pretty style when wearing this beautiful floral swing dress. It features a round neckline, 3/4 sleeves, on-seam pockets, and a hi-low hem. Pair with mule sandals for a casual-cute outfit you can feel confident wearing any day of the week or dress up your look a bit with strappy heels.